During a game against Saracens in 2013, Willis was twice treated for a head injury but was allowed to continue the game until the 49th minute when he was substituted. Whilst the case is certainly unique, it may set a precedent that could change the way the game is played, especially when it comes to medical staff returning players to the field of play after a head injury assessment. 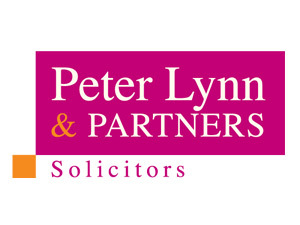 Rob Davies, Litigation Solicitor with Peter Lynn and Partners said “whilst we cannot comment on this specific case, in a contact sport such as rugby it is paramount that coaches and medical staff follow protocol to ensure the safety of players”. The existing protocol, the Head Injury Assessment (HIA) was introduced in 2014 replacing the previous Pitch-Side Concussion Assessment (PSCA) which many considered was out of date for the modern game. Mr. Davies continued “There are hundreds of clubs across Wales relying on volunteers to coach all ages of rugby and they need to be aware and trained on what to do in scenarios that involve a head injury”. Whilst claims against rugby clubs are rare, it is not just professional clubs who should have a legal partner. “A good legal partner is one who will seek to advise and prevent legal problems across a wide range of matters from incorporation and lease agreements to player welfare responsibilities and litigious claims”.